Are you capable of saving an animal from choking? Or dealing with bites or cuts? Do you know how to save your pet when it is not breathing? Or when it does not have a heartbeat? Regrettably, unexpected things can and do happen to our pets and we need to be prepared to handle such accidents when and if they do happen.Knowing how to perform first aid is a requirement for every person who is a pet owner or a professional who works with animals. 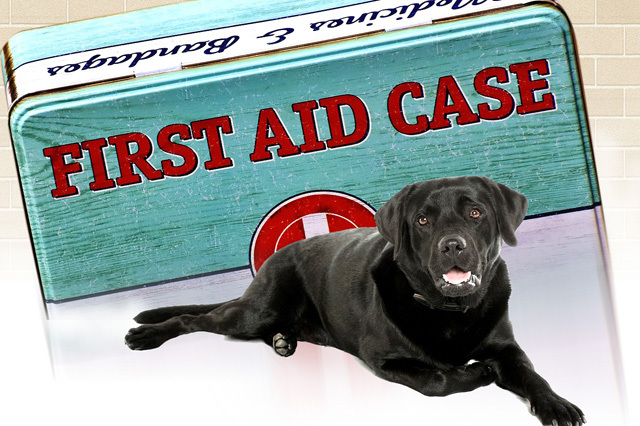 This comprehensive Pet First Aid Diploma gives you the skills to handle cut pads, snake bites, insect stings, traffic accidents, chocolate poisoning, choking and various other situations. Additionally, you will also learn how to assess the patient’s status and prioritise the problems accordingly. When it comes to saving your pet’s life, can you afford not to know about CPR and first aid and how it is to be administered? Upon completion of this Pet First Aid Diploma course, you will be equipped to handle any accidents that involve the pets or animals in your care. Instead of panicking and feeling helpless, you can help the animal in distress by taking control of the situation and acting in a proactive manner. Immediate action on your part will not only save lives but will also mean that the animals would be in distress for a short period only. At any time in your life, you could be called upon to help an animal in distress. Hence, join the Pet First Aid Diploma course without delay. The Pet First Aid Diploma will be beneficial to everyone who owns a pet or works with animals. When your pet is ill or injured, knowing what to do to ease their suffering or save their life will definitely make a difference. Designed to help anyone who wishes to learn what can be done in case of emergencies related to pets, this course teaches you how to handle an emergency situation in a calm manner so that the pet can be helped until they receive the veterinary care that they require.